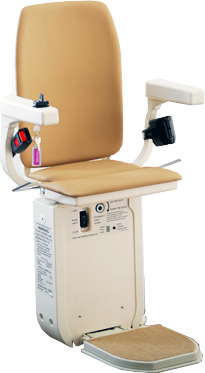 Call 1 (800) 690-5388 if you have any stair lift questions. 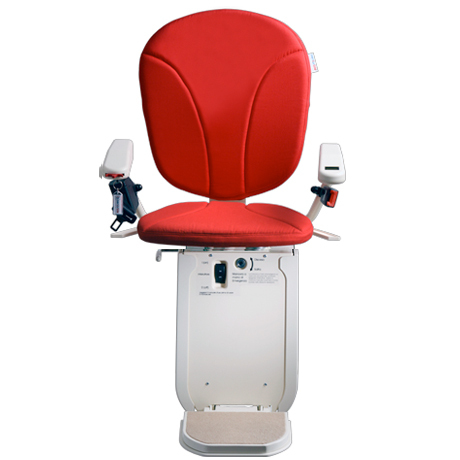 The AmeriGlide Platinum Curved Factory Reconditioned stair lift an incredible value that will allow you to safely navigate the stairs in your home! 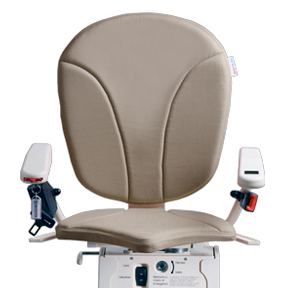 With a reconditioned model, almost anyone can afford to enjoy the superior performance and reliability of an AmeriGlide product. 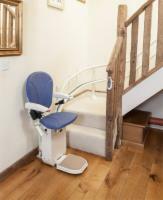 Each stair lift comes with a brand new, custom cut track that has been specially designed to fit staircase. Whether you have a spiral staircase, 90 degree turns, or multiple landings, we can create a track for any home. 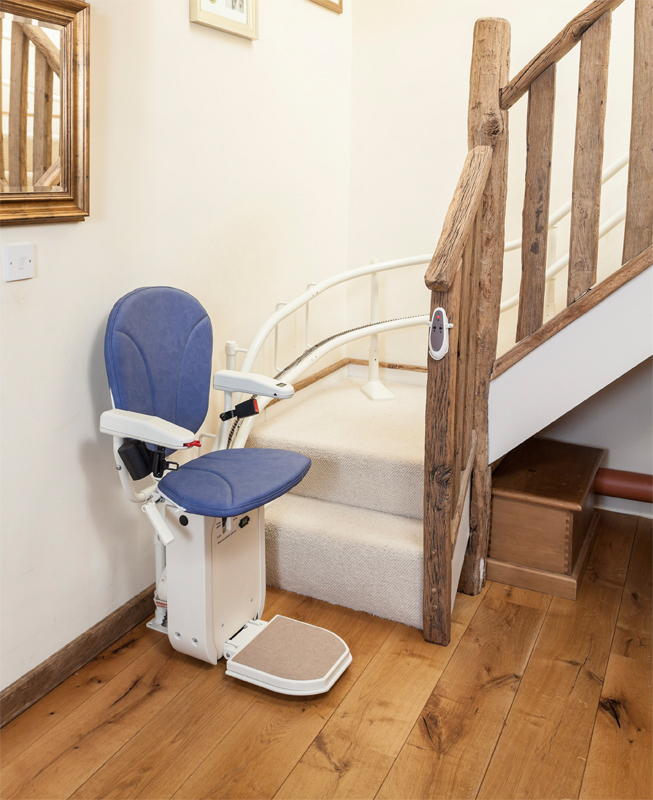 Only the carriage portion of a reconditioned stair lift has actually been previously used, but with the help of our thorough inspection process, you would never know it! Every reconditioned model is thoroughly cleaned, inspected, repaired, and tested before being made available to new customers. They even come with a warranty that is the best in the business. 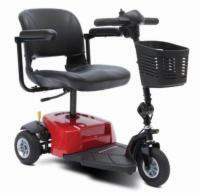 Call us today to learn more about this great deal and improve your mobility for less! * WA and CT residents please check your local code requirements. 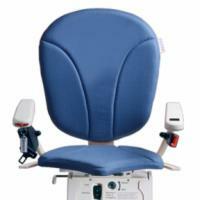 Why buy your stair lift from A1 Medical Supplies? or We Can Install It For You. Unit Footprint, In Use: 25.6"
We can put the controls on either arm to suit you. Installation On Concrete, Steel, or Tile Stairs is available. Due to the customizable nature of this product pricing will vary, please call our educated sales team to get a quote. Most sprial staircases will not accept a curved lift if the staircase is made with a single center pole.